Disability, dementia, and frailty often have huge impacts on all areas of my clients’ lives. That does not, however, stop them from dreaming about the beach, Europe, and traveling in general. While paying bills and planning for the future, I’ll often hear statements like, “If only I could win the lottery, I could travel again.” or, “I can’t get around like I used to, but I would love to go sailing one more time.” For many older adults, traveling was a huge part of their work and social lives. Giving that up can be heartbreaking. But…what if older adults living with dementia, disabilities, or even frailty don’t have to give up traveling? Yes, traveling would likely look different. Walkers, hired caregivers, and a loaded pillbox may be in tow; trips may be shorter, and days may be spent with more downtime. More planning is definitely required and more coordination with caregivers and healthcare providers is necessary. But traveling as an older adult is not impossible. Over the last year, two of my clients have faced this daunting decision. One client, a gentlemen in his 70’s with early stages of dementia, loves Broadway musicals. After weighing the potential risks with the likely joy, he decided to travel to New York City for two nights to see three shows on Broadway. In his words, he said he’d rather “die trying than stay here and rot to death.” I helped him hired a CNA (or certified nursing assistant) to accompany him; help select and buy his airplane tickets, hotel room, and show tickets. He spent the two months prior to the trip planning, shopping and anticipating the journey. So much could have gone wrong: he could have gotten lost, been abandoned by the CNA, had a fall in Times Square, or lots of other catastrophes. Instead, he had a great time! He saw his three Broadway shows (and Bette Midler! ), spent hours people watching in Times Square, and ate fabulous food! My other client is a woman in her 80’s that wanted to go see her ill daughter and grandchildren in North Carolina. I learned that trying to coordinate getting an elderly woman with cognitive decline to the airport to meet a grandchild and on the plane was almost like planning a story line out of Mission: Impossible! The back and forth details to make sure EVERYONE was on the same page was eye-opening. But it was all worth it when she arrived safe and sound and was able to spend time with her children and grand kids for several days. I’m not sure you can ever be too old to travel. My number one tip: be flexible. Traveling may not be as you thought it should be. Trips may not be as adventurous as once experienced but the important thing is to…just go…just do it. My second tip: be prepared. It may be helpful to hire a professional (a geriatric care manager, a daily money manager, CNA etc.) 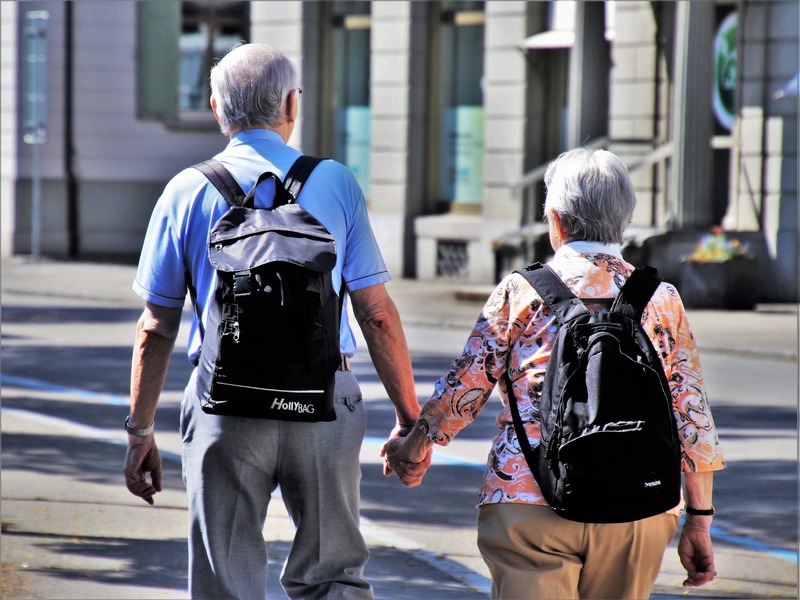 to help you plan because the details can be overwhelming, and there are many hidden accommodations for elderly travelers that you might miss without some professional guidance. To learn more about how a daily money manager can help you plan your future travels, please contact Senior Partners at (678) 278-8410.